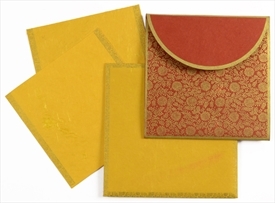 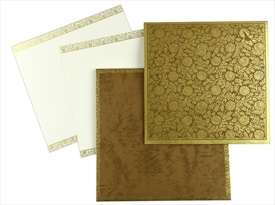 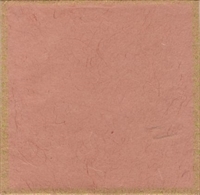 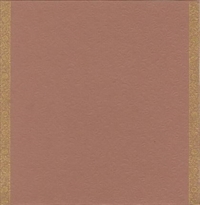 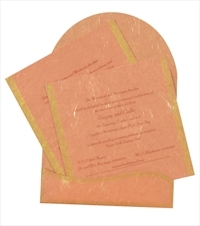 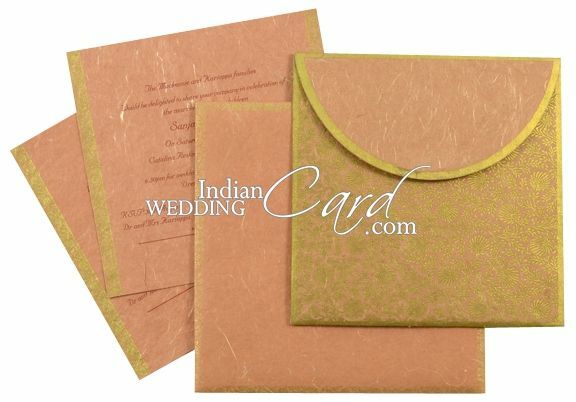 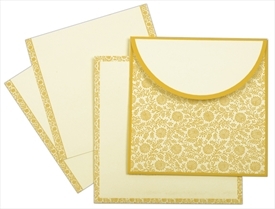 D-207m, Brown Color, Handmade Paper, Designer Multifaith Invitations. 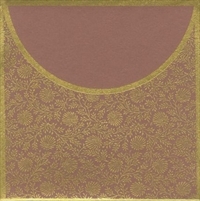 The front of this card has an overleaf with golden border and the remaining part has an overall floral motifs base in the same color. 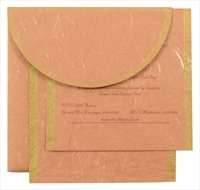 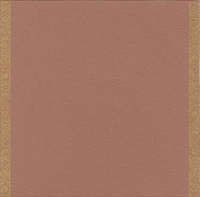 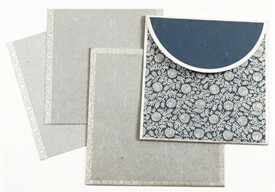 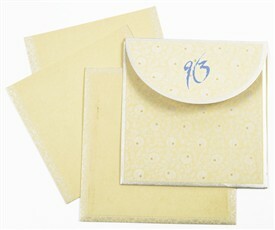 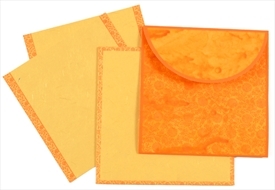 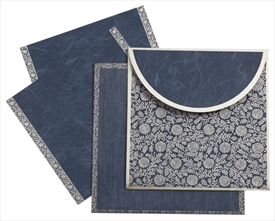 The docket, inserts and the envelope have floral strip borders in similar color. 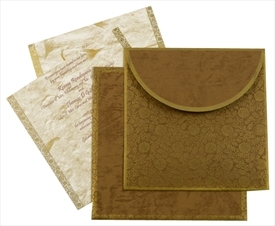 Silk Screen Printing in any dark color of your choice. 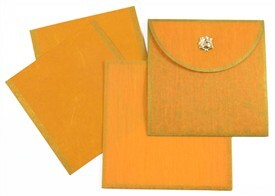 Gold color not suggestible as visibility will be poor.